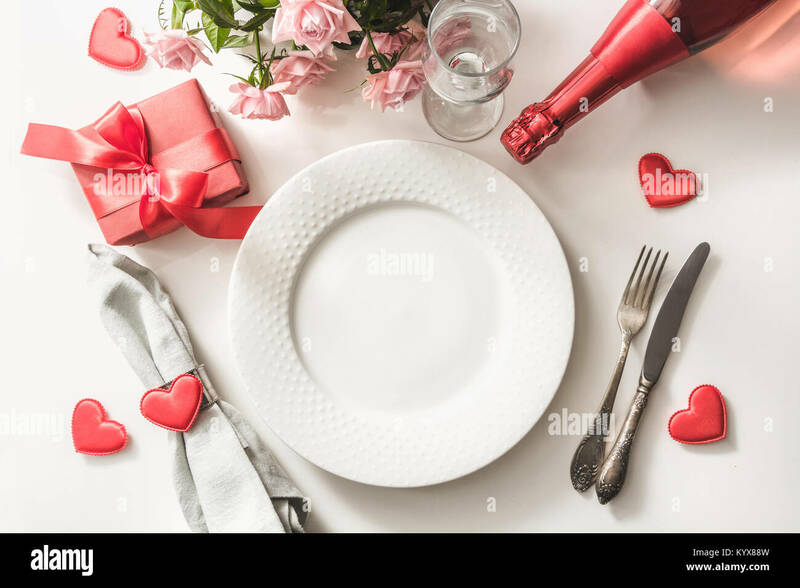 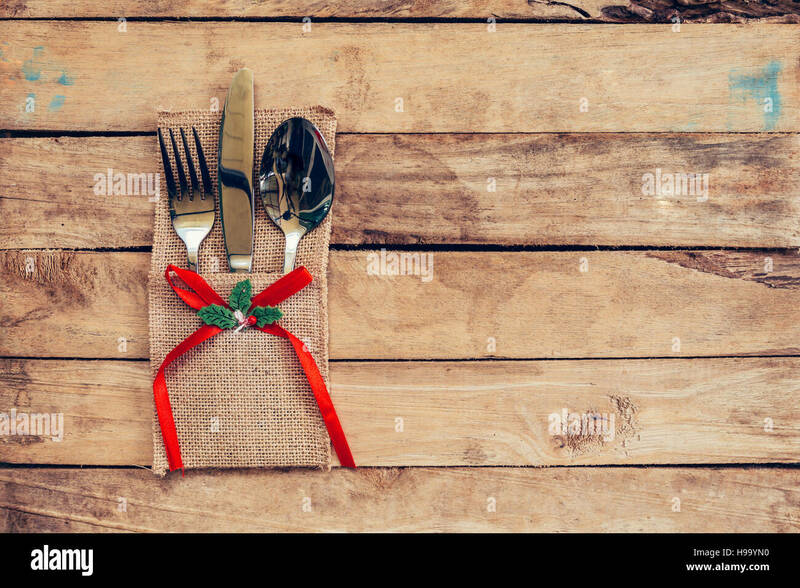 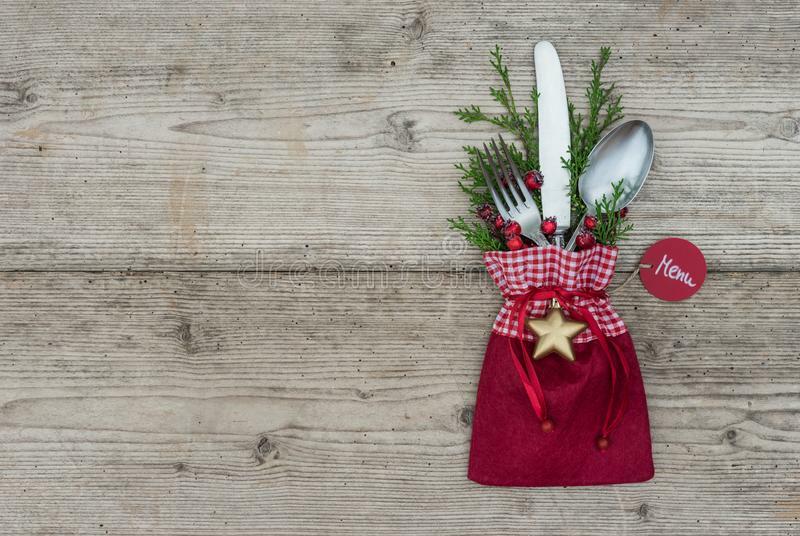 Christmas table place setting and silverware on wood with space and Table setting on wood background vintage. 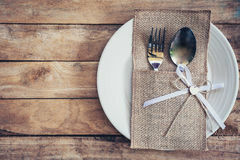 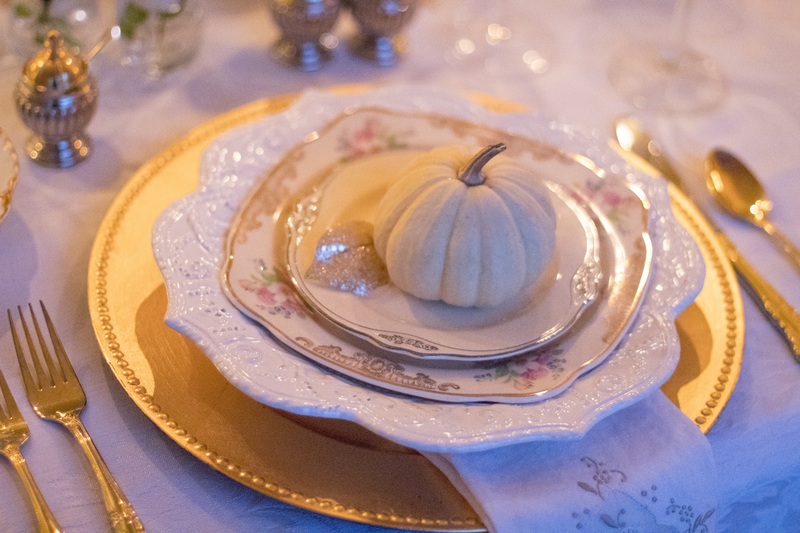 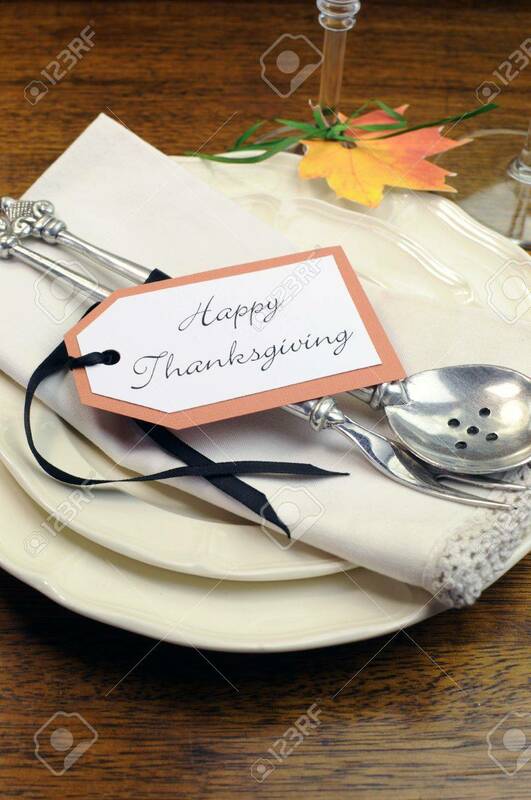 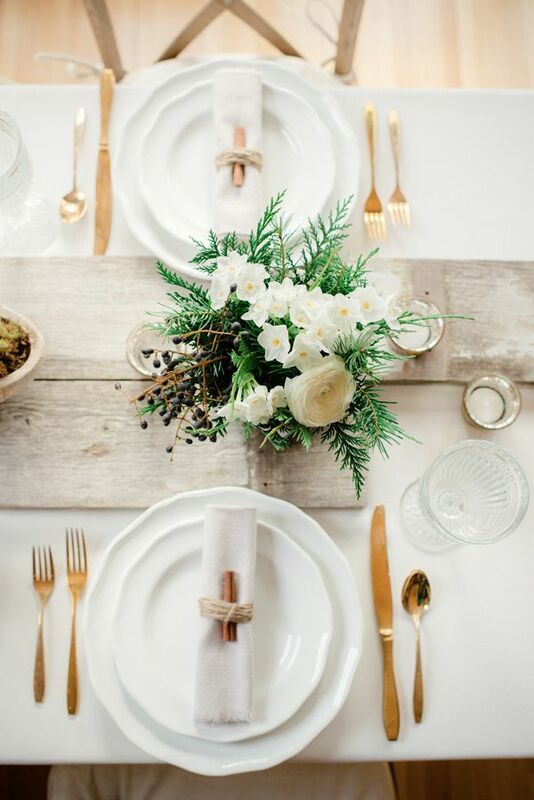 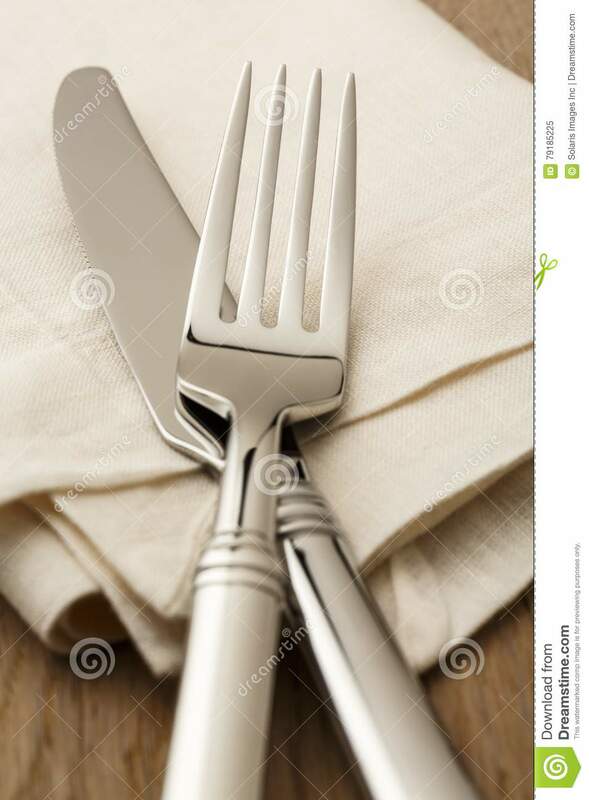 High quality fork and knife lay on an ivory linen napkin on a wood table. 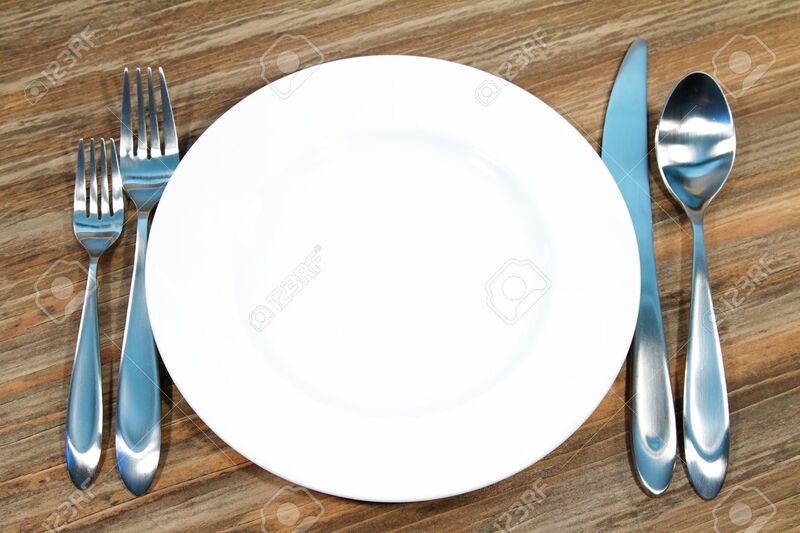 Casual fine dining concept.